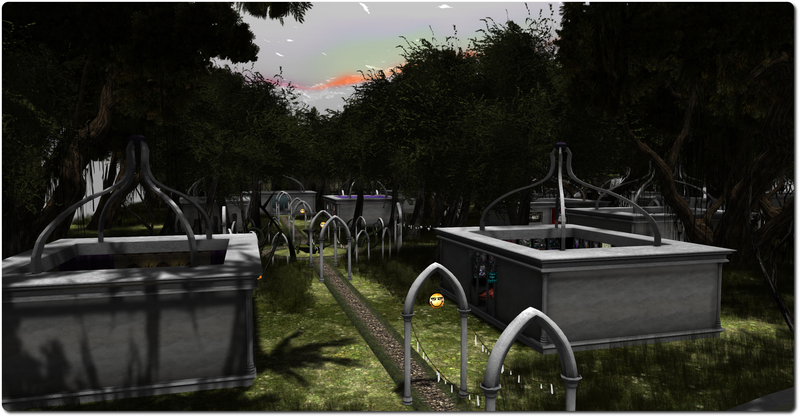 The World Goth Fair (WGF) started in Second Life on Thursday May 15th, and will run through until Sunday June 1st, 2014. 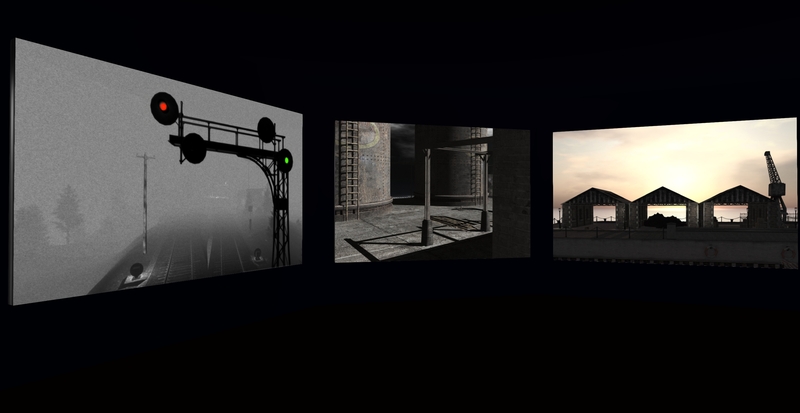 Over 80 merchants from across Second Life are participating in the fair, which is being held across three regions: Cursed (Adult), Sium (Moderate), and Port Seraphine (Moderate). While showcasing some of the top designers in Second Life who supply the goth market, the primary aim of the event is to raise funds for the Sophie Lancaster Foundation, a UK-based charity that was founded in the wake of the brutal murder of Sophie Lancaster, a young woman who was killed for being a goth. As well as supporting the Foundation, the WGF is also officially sanctioned by the organisers of World Goth Day, which this year will be marked on Thursday May 22nd. The three areas of the fair have been individually designed by Fox Nacht (Sium), Lokii Violet (Cursed) and Nephilaine Protaganist (Port Seraphine), and features it own unique look and atmosphere. As well as the stores, gacha, and other attractions, the fair will also feature live entertainment throughout its run – keep an eye on the WGF blog for notices of performances and sets as well as to keep abreast of all the news of the fair. Update May 21st: This maintenance window has been postponed. On May 15th, Linden Lab gave warning that there will be a period of scheduled maintenance on Thursday May 22nd which will see log-ins suspended for around one hour, from approximately 07:00 SLT. [Posted 2:15 PM PDT, 15 May 2014] The Second Life Service will be closed for logins for approximately one hour on Thursday, 22 May beginning at 7am PDT. Residents in world will not be logged out, but will experience loss of supporting services such as search and inventory. New logins will not be accepted, and Residents in world should not attempt to transfer or manipulate L$ or valuable (no-copy) assets until the ALL CLEAR is given. Melusina Parkin’s Themes is now open at the The Nite’s Place Red Line Exposition Area. Curated by Simonh Sandial, Themes features 42 photographs selected by Melusina in and exhibition space which allows them to be displayed in 6 groups of seven photographs apiece on the themes of “solitudes”, “landscapes”, “industry”, “details”, “urban” and “minimal”. The selected images are striking in nature, each one displayed large enough to draw the eye into it, making the observer almost a part of the scene itself. What is particularly noticeable about many of the images is the fact that they appear so very life-like; so much so that on first look, it’s actually hard to tell whether they were taken in-world or in real-life. It is only on closer examination, or when the eye is drawn to certain clues, that the fact the photo was taken within SL becomes apparent. 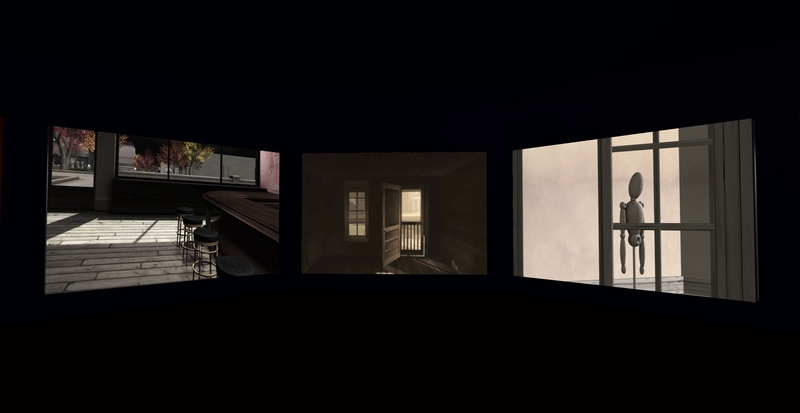 Take the two images above (put side-by-side for comparison purposes): the one on the left (“Loneliness 1”) gives every impression of having been taken in RL, while in the second (“Loneliness 3”), it is only when one sees the while glow surrounding the nearer of the two sets of lamps that its SL origins are revealed. This RL / SL “crossover” is intentional on Melusina’s art, as she informed Ziki Questi, who reviewed this exhibition earlier in May. “The aims of my photographer’s work are always the same: showing how fantasy and skills of SL residents made a world that reflects the main features of the natural or human environment’s common imagery,” Ziki quotes Melusina as saying of the pieces on display here. Not only this, but the selected images beautifully – even hauntingly – reflect their intended themes. In this, several of the pictures in the “solitudes” section were particularly evocative for me, while “industry 1” (see on the left in the topmost image in this article) give rise to images of the romantic age of steam and the stirrings of time long past, together with the feeling of a story waiting to be told. As noted at the top of this piece, this is a striking exhibition, and for those with a love of SL photography, definitely not one to be missed. There was only one server channel deployment in week 20, which went to the Magnum RC. This was a new sever maintenance project deployed on Wednesday May 14th, which included a bug fix for a networking-related issue that sometimes affects busy sims, which Maestro Linden described as, “busy sim hosts would suddenly run into a bunch of networking issues, where you’d see failures creating inventory, accessing capabilities, etc.” The problem can also apparently affect LSL email registration for receiving email from outside the region, causing it to break without automatic recovery. Maestro indicated that the Lab has a hotfix for regions reporting the problems (although that number appears to be low) which involves a configuration change for the sim host, but the update deployed to Magnum (and which will obviously progress to the other sever channels) has this config change set by default. There have been no further updates to any of the SL viewers currently in the release channel or available as project viewers. Releases are as per my Current Viewer Releases page. The group ban work is inching closer to the main grid. However, it’ll still be another couple of weeks (ish) before anything visible is seen as far as this capability is concerned. As noted in week 19, the Lab will be deploying things cautiously, with an initial back-end host code update being undertaken first, prior to anything being seen on the simulator channels. “We’re just running some final tests at this point; the server which runs the group ban service also provides some other services, and we want to check that those didn’t break,” Maestro Linden informed the Server Beta User Group on Thursday May 15th. This probably means it’ll be another couple of weeks before the server-side code appears on a server RC channel. The plan is that when that happens, a formal project viewer with the viewer-side group ban code will appear for public use. When formal deployment to one more simulator RCs does commence, it is important to remember that until the server-code has been fully deployed across the main grid, the group ban functionality will only work as advertised on those servers / simulators / regions which have the necessary server-side code. It therefore may appear to give unpredictable results. For example, you will only be able to effectively ban people from you group when the viewer is connected to a server supporting group bans (although they do not need to also be using the group ban viewer in order to be banned). Also, even when someone is banned from your group, they could successfully rejoin it from any simulator / region which does not have the server-side code deployed to it (leading to further confusion as they’ll appear in both your group members list and your group ban list). Obviously, these issues will go away once the server-side code is fully deployed across the main grid. However, until such time as that has been achieved, people should be aware they may encounter what appear to be “issues” with the functionality simply because it isn’t available right across the grid. More information will be posted on this when the project viewer surfaces and the code has been made available of a server-side RC.